Look: a painter is whispering, an artist speaks. Listen to him, watch him. Discreetly, he conjures what he loves, reflects upon his work, measures his territory. He talks of himself and, in so doing, talks of us. Ozias Leduc painted his first still life in 1887, at the age of twenty-two. In this initial picture, which marked the start of close to seventy years of uninterrupted work, he was already expressing something of his artistic credo and his goal as a human being. He appeals to the best in us: remain attentive to the world around you, study nature, grasp the beauty of each moment – its forms, its light. In each work he was learning how to communicate his feelings and his knowledge, to dream. 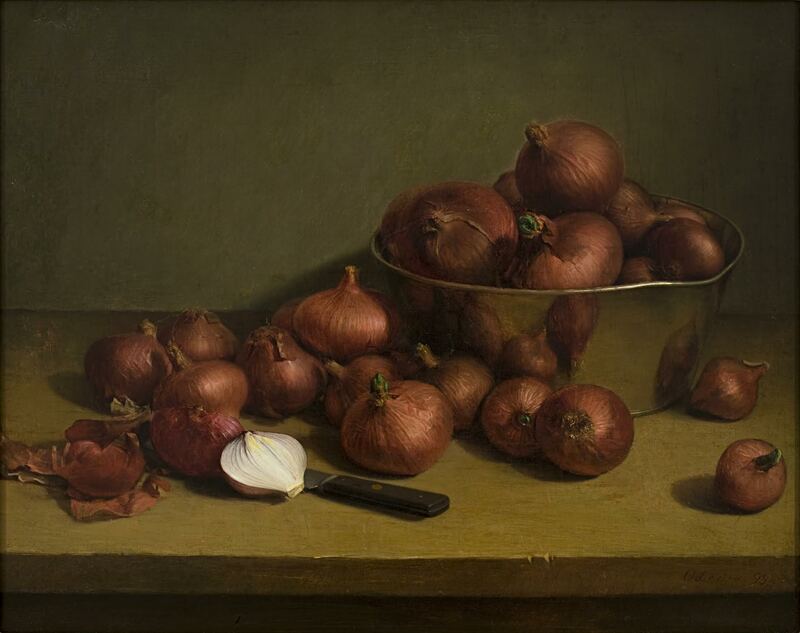 It was via the still life that he chose to know himself and to become known as an artist, only later exploring other spheres – portraiture, genre scenes, landscapes, allegories and, always, the religious painting he practiced throughout his career. 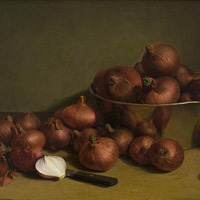 Leduc pursued his vision in a series that would consist ultimately of around fifteen still lifes, the majority executed between 1887 and 1900 (with returns to the form in 1907, 1924 and 1940), while exposed to pervasive materialism and the religious discourse that was shaping knowledge and intellectual exploration at the time. He spoke to the minds and souls of his contemporaries, and he speaks to us still. The painter was fortunate enough to reach an interested audience, people responsive to what he had to say. Let us, also, listen. The paintings are small – we’re tempted to hold them in our hands. It would perhaps be the best way to look at them, to contemplate them at length, to study the links that emerge between each of the things represented, to appreciate the muted colours. The time it takes to absorb the arrangement of the objects and the relationships uniting them reflects the deliberation with which they were created, and of our own contemplation. The still lifes must also be compared to one another, for they form a whole. They are works that converse between themselves and respond to questions the young artist was pondering about art and about how to capture reality at the frontiers of imagination. How do I penetrate the world around me, how is it structured, and from what angle should I approach it to understand? Between the answers provided by spirituality and by science, Leduc explored the path of art. He invoked all its aspects – history and tradition, technique and inspiration. On the question of the artist’s role, his answer: to know the world, and to interpret it according to an imaginative ideal. The exhibition and this publication are entitled Confidential Experiments. The second term highlights the exploratory character of the paintings, which focus on questions of fundamental importance to Leduc: what is art, what are its theories, how does it operate? He calls attention to his research through his choice of subjects, their presentation and their pictorial treatment. The other part of the title stresses the subjective nature of this learning process. While offering a highly personal oeuvre, as private as a confidence, he speaks in a voice that can be heard – that we can hear. This exhibition and catalogue were made possible by the generous support of the Prakash Foundation.